FSU’s College of Visual Arts, Theater, and Dance (CFA) Leadership Council is proud to announce the launch of SIX. The Council’s mission is to showcase the extraordinary talent of our students. Your College Leadership Council will soon make available its first annual publication: SIX. This volume will be a bound, full-color book; its release is scheduled for April 2011. 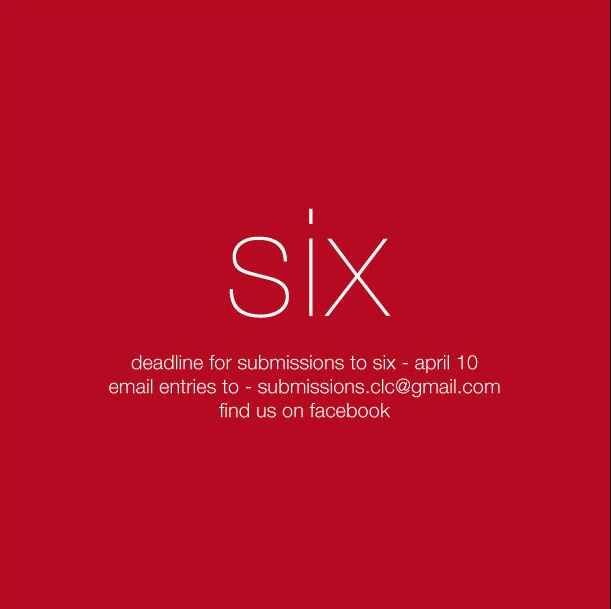 SIX is now open for submissions from all students in the College. We will consider all forms of entries in digital format; they may include photographs of visual work, performance work, graphic work, design work, or any other work suitable for printing. Students are also encouraged to submit text files with art statements, descriptions of performance pieces, as well as abstracts of scholarly works and insights gained by students in the development of projects in all fields covered by our College. Students are encouraged to create and innovate with their submissions. This is an open call for both undergraduate and graduate students, and to any student-run organization within the College of Visual Arts, Theatre, and Dance. We encourage submissions from all departments within the College: Dance, Theatre, Arts Administration, Studio Art, Art Education, Interior Design, Art Therapy, Art History. The Members of the College Leadership Council will consider all submissions. Expected publication date is late April 2011. The deadline for submissions is APRIL 10th. There is no cost or limit on submissions. All non-text submissions must be sent as (.jpg) files with a 300 dpi resolution. Graphic designs (logos, posters, projects) should be submitted in .pdf format. Texts should be submitted both in .doc and .pdf format. • All pertinent information regarding the piece: dimensions, medium, date created… etc. Please email Aaron at submissions.clc@gmail.com with any questions. We look forward to seeing your work!